Join the Social Impact & Sustainability Association (SISA) as we kick off the semester with a sustainability tour and tasting at the Brooklyn Brewery in Williamsburg! The tour will be led by Joe Thompson (Sustainability Manager). Afterwards, hang out and drink some beers with SISA! We will also be ordering some food to the brewery. 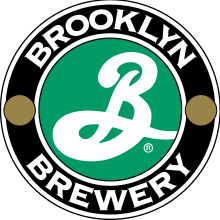 Founded in 1988, Brooklyn Brewery has been an integral part of the community of Brooklyn since its early days. In 2003 Brooklyn Brewery was the first NYC company to switch to 100% wind-generated electricity. The Brewery is also heavily involved in the community and even recycles its spent grain, which is used for composting and pig and chicken feed. *Be sure to arrive on time, so you don't miss the tour! We will be capping the event at 30 people, so get your tickets quick!